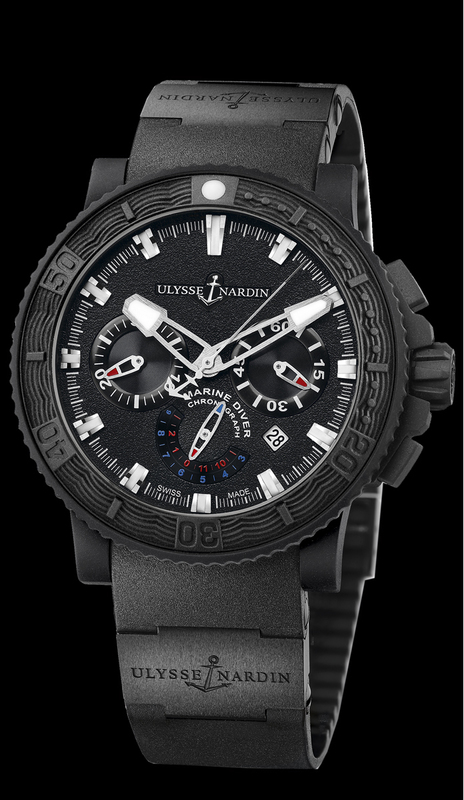 It is a 45.8mm, stainless steel case, with all black, high-tech rubber coated. It features a date, and a exhibition case back. 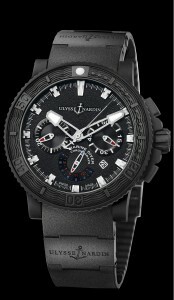 It also features black ceramic elements, and a black rubber strap, with a black ceramic folding buckle.